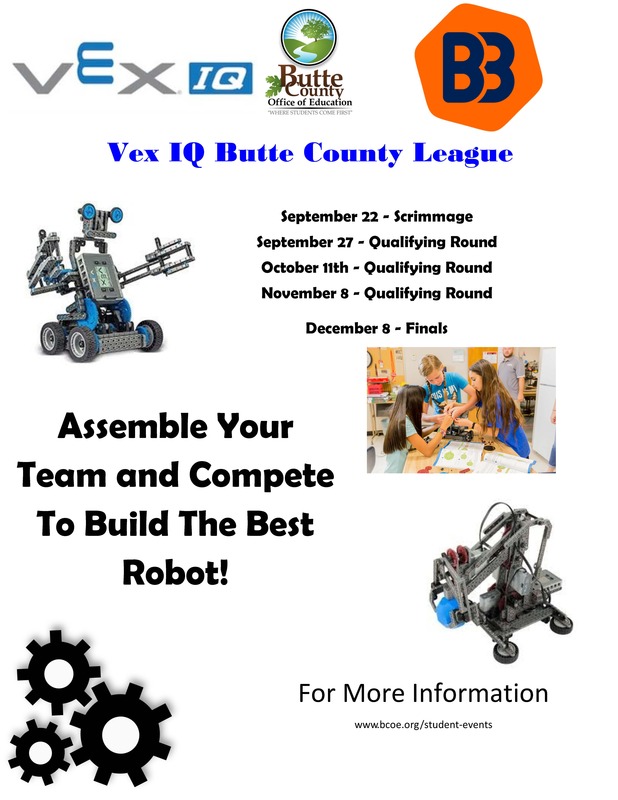 The Vex Robotics League is new to Butte County this season! 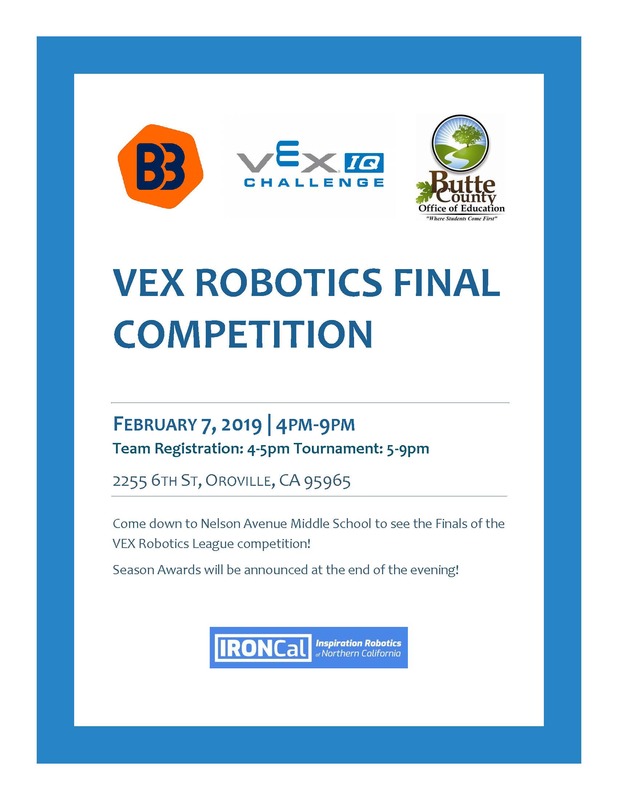 IronCAL will host a series of Vex Robotics Qualifying Rounds and one Final Championship Round. 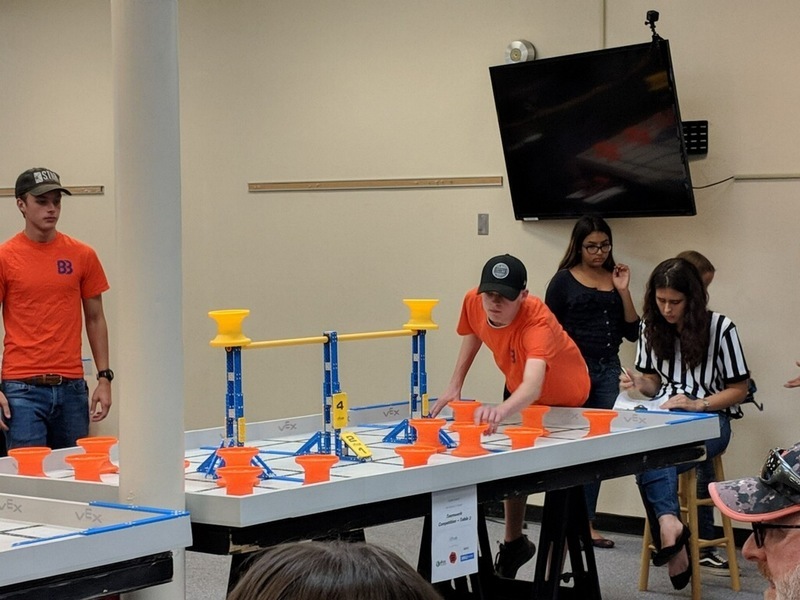 The tournament is supported by high school volunteers representing Butte Built Bots under the supervision of Jon Andrew, Butte Built Bots Advisor. Winning teams will be eligible to advance to compete in other state tournaments. Click HERE for highlights of our Vex Scrimmage.